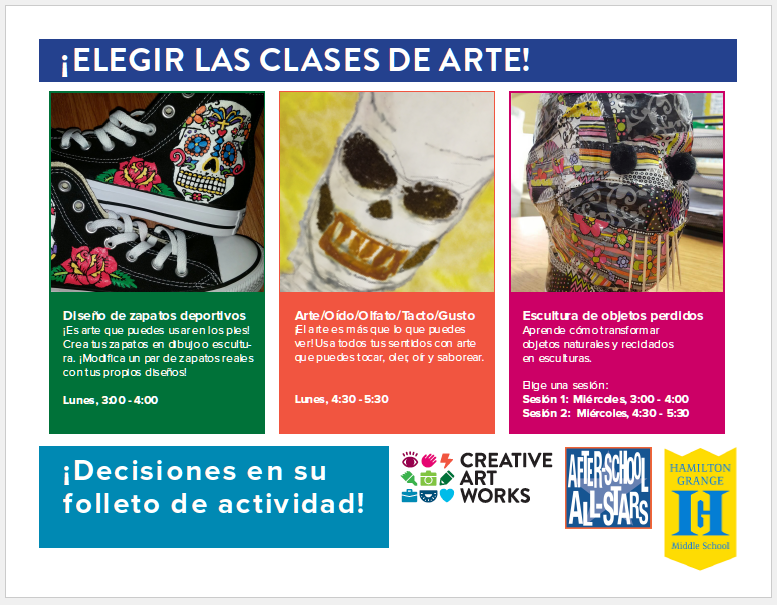 During the 2016-2017 academic year, Creative Art Works ran eight sections of five different art-making programs for After-School All-Stars students at Hamilton Grange Middle School. These out-of-school-time programs, led by CAW’s professional teaching artists, provided students with enriching, student-driven arts-based activities designed to build confidence, enhance creativity, and engage students in critical thinking while giving them a safe place to spend after-school hours. 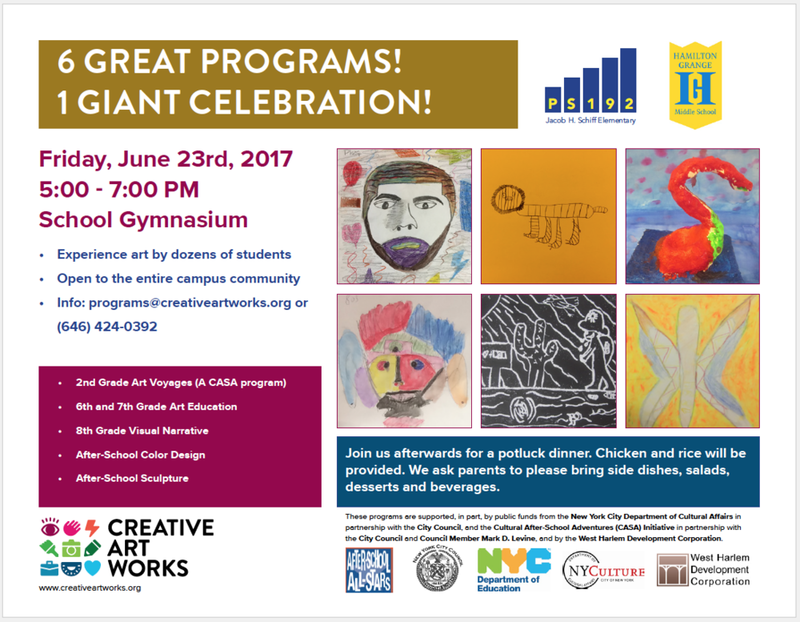 CAW served over 150 sixth, seventh, and eighth graders through the ASAS programs at HGMS this year, and celebrated our young artists with a culminating event that displayed a wide-ranging body of work for their families, teachers, classmates, and the community at large. Students who participated in CAW’s programs benefitted from the innovative atmosphere of out-of-school time programming. Students brainstormed amongst themselves to decide on materials and themes they wanted to explore, and then our teaching artists developed tailored, responsive curricula that relied upon student interests and inspiration as a framework upon which to build meaningful discussions, lessons, and activities. In addition to the artwork they made, students also gained tangible, transferrable skills like planning and public speaking as they prepared for their culminating event at the end of the school year. Creating three-dimensional relief portraits of the school’s principal as they studied the work of Jean-Michel Basquiat. HG Sculpture Lost & Found from Creative Art Works on Vimeo.